One of the ways that you can protect your sensitive financial information online is to use a virtual credit card number. This type of transaction allows you to avoid sharing your real credit card account number online, and can be useful if you are concerned about credit card fraud. However, even when you use a virtual credit card number, you are still required to provide personal information, including your name and address. Some consumers aren’t comfortable providing this information, since a retailers hacked database could mean their identities are stolen. One way to actively protect your personal information, in addition to monitoring your credit, is to take advantage of services that complete mask your information. I recently saw an article on Forbes that shares information about a service called MaskMe. This service allows you to choose any name you like, use the address of the service provider, Abine, and then assigns you a one-time number. This way, your credit card purchases are tracked by the retailers (at least, they don’t get information about your real card number and who you are), and your name and address stay out of it, too. If a retailer’s database is hacked, or if there is some other information breach, none of your personal information is at risk. I remember when the PlayStation Network was hacked a few years ago. I had to get a new credit card number and everything in order to recover from that. And I felt lucky that there wasn’t any identity fraud stemming from that experience. With a masked credit card, that wouldn’t be a worry. 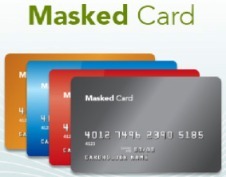 For now, though, the masked credit card is only feasible for non-physical purchases. If you are renting a movie, or paying for streaming services, or buying software downloads, this works well. However, if you buy a product, you can use a masked card number, but you still have to provide your real address. According to the Forbes article, Abine is working on a system that will re-route your packages to you so that you don’t have to provide your real address to merchants, even when ordering something physical. Whether you use a virtual number offered by your credit card issuer, or whether you use a service like MaskMe (which charges a monthly fee), it can make sense to improve your online security with the help of hidden credit card numbers. I like to use PayPal, since it limits how much information is floating around out there. But the idea of fake numbers also appeals to me a great deal. However, even with the increased privacy these services can provide, the reality is that the information is still stored somewhere. What happens if someone hacks into MaskMe, or gets directly into a credit issuer’s database. You can reduce the chances that your information will be stolen by limiting the places it can be found, but there is still no way to guarantee absolutely privacy and safety unless you eschew plastic altogether.